The police high command, Abuja has affirmed that acting Commissioner of Police, Lagos State Command, Imohimi Edgal remains as the state CP, saying it is not aware that he had been demoted to his former rank of Deputy Commissioner of Police. This is following a letter from Police Service Commission (PSC) to the Inspector General of Police, Ibrahim Idris, informing that Imohimi had been reverted to his former rank of Deputy Commissioner of Police. The letter, signed by the Permanent Secretary of the Commission, Mr. H.F Istifanus on behalf of the Chairman, Sir Mike Okiro, has as heading ‘Withdrawal of Acting Appointment: AP. 25095 Imohimi D. Edgal and AP. 36665 Aji Ali Janga. 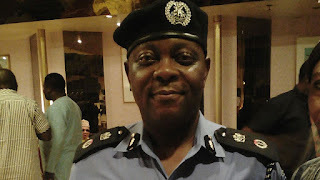 When contacted, the Force Public Relation Officer (FPRO), Jimoh Moshood, a Chief Superintendent of Police (CSP), stated that Edgal is still the CP Lagos, in acting capacity. He said “the PSC has the power to appoint, promote and discipline officer but they don’t have power to demote. They can only demote an officer after the Force Disciplinary Committee has looked into what the officer has done and then recommend him or her for discipline. “They can only authorize them to authenticate what the Police take them. In this case, acting CP Edgal has not committed any disciplinary offence and the Force Disciplinary Committee has not recommended him for demotion. They cannot demote him and they have no such powers. They should not go beyond their powers. CP Fatai Owoseni had on August 31, 2017, handed over to Edgal, who was his deputy in charge of operations. This followed a statement by the police confirming Owoseni’s redeployment as the CP in-charge of Administration at the Force Headquarters, Abuja. “Ag/CP Edgal Imohimi has taken over and resumed in official capacity as the commissioner of police Lagos state police command with immediate effect.”According to some Police officers in Lagos, the rumoured Edgal’s demotion is a fallout of the standoff between the IGP and the PSC Chairman, who had once complained on Channels TV that Idris was not ready to work with the Commission. Edgal as acting CP had taken giant strides in Lagos including the procurement of additional patrol vehicles, and the dismantling of the notorious Badoo cultists that killed many residents in Ikorodu, which appears to have been subdued.